Every website exists for the purpose of being seen. Whether you are a small business offering products or services, or a blogger looking to gain readers and wider web influence; you want prospective clients to see what you have to offer. However, achieving those site visits is only half the battle. – Expansion of social media influence on Facebook, Twitter, LinkedIn, etc. Google Remarketing is the way to take your site to the next level! It gives you the opportunity to increase interaction, not just traffic. Google Remarketing is an online follow-up tool that allows you to continue to present your ads to prospects, even after they leave your website. 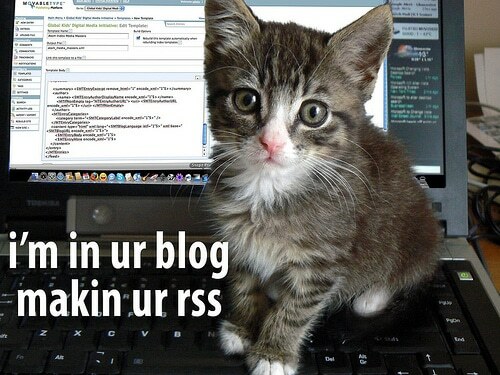 You see, not every person who visits your site is ready to jump in. It takes constant exposure to your offers to influence your prospects to make some kind of interaction on your site, be it sales or a blog interaction. Google Remarketing gives you the ability to put tailor-made ads in front of your prospects wherever they go on Google’s extensive Display Network. With Google Remarketing, you choose what you want your visitors to do. Maybe you want them to buy a certain product, hire a particular service, or make a connection through social media. Google Remarketing gives you a programming code that can tell whether or not your visitor has taken that action step. If they leave your site without taking action, Google will know and that’s when Remarketing begins. After leaving your site, your prospect will be shown custom designed ads promoting your desired action step on every website they visit within the Google Display Network. This is an invaluable tool! Remarketing offers automatic follow-up for your website until your prospect takes the action step you want. Desired demographic. Remarketing allows you to create specific ads for certain target groups. In other words, you can show different ads to a stay-at-home mother versus a young entrepreneur. Site-relevant ads for your products or services. For example, if you offer a landscaping service, an ad specific to that service will appear when prospects visit a relevant site (ie. HGTV.com). Google claims on their site that Google Remarketing “reaches 83% of unique Internet users around the world,” so the Google Display Network is an invaluable asset for those looking to achieve maximum exposure for their products, services or content. Every time your prospect visits one of these thousands of sites, they will see your customized ad specifically targeting them. Additionally, because the network is so large and includes so many big-name websites, you gain more than just exposure. You also gain the impression of “being everywhere” and being associated with big-name brands. The best part about Google Remarketing is it can actually get you a lot of free exposure. Google tracks your prospects, promotes your site, and compels those prospects to take the action steps you want them to take, and you don’t pay anything for this promotion unless your prospect clicks on the ad. This means that if your prospect doesn’t click on the advertisement directly, you are still exposing them to your brand and building the credibility of your site. This will make any future advertisements all the more effective. Building your brand and establishing credibility is paramount to turning site visits into interactions. Google Remarketing offers this service to your site with absolutely no risk. Are you ready to begin building your brand and extending your web influence? Google Remarketing is an incredible tool that turns website visits into site interactions. More sales. More readers and followers. More clients. You can also improve your local search rankings. What do you think of Google Remarketing? Please enter your comments below! Early this month, I was having a conversation about guest posting with a friend of mine. This is a topic I have personally been examining over the last year, so when he asserted that “guest posting is dead,” I had to voice my opposition. I do, however, think that guest posting expectations bloggers have are sometimes a bit out of whack. 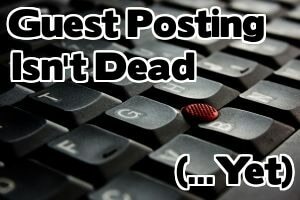 Guest posting isn’t dead any more than blogging itself is dead, but the way some bloggers go about guest posting is certainly putting it on life support. Guest posting started as a simple theory: if you write a free post for another blogger and his/her readers like it, they’ll come back to your blog via the link at the end of your post and become a member of your community as well. I can tell you from tons of personal experience that this doesn’t usually happen, at least, not at a rate that makes your hard work worthwhile. 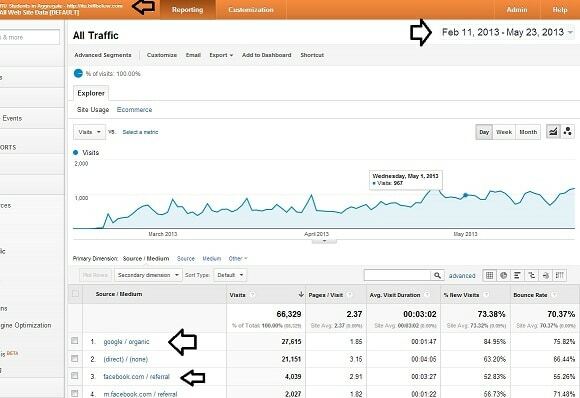 Even if you write a guest post for a well-known, popular blogger, that traffic isn’t going to translate. Readers are fans of certain blogs because they like that specific blogger. You’re someone new, unknown, not to be trusted. A small percentage of people who read your post – even if they like it – will actually click the link in your bio, and an even smaller percentage will actually become long-term readers on your blog. If you go into guest posting with the expectation that you’re going to get tons of traffic and new readers to your own blog, you’re likely going to be sorely disappointed. I still recommend guest posting, however, because if you do it properly, you can end up with tons of new readers. It’s about being strategic. Guest posting is about branding. You want your name to suddenly start popping up everywhere so people start to recognize it. If you write a one-time guest post on another site, you might get a few curious readers coming to your own blog, but if the same readers start to see your name everywhere, they’re going to start to wonder who you are, and if they like your content, they’re going to end up on your blog sooner or later. So, think about guest posts in terms of groups of posts going out over the course of a week, not just single posts here or there. Immediate traffic shouldn’t be the goal; you’ll see traffic over time as name recognition builds. 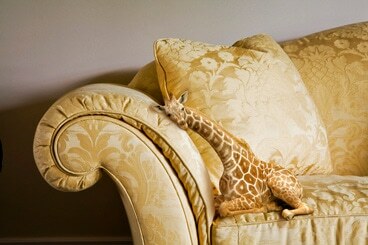 Guest posts are also great for SEO purposes. You do have to be careful about putting too much stock into a single type of link-building, since Google is constantly changing, but having your link without a post on a popular blog can help your search engine standings. Even better than linking back to your homepage in the bio is to link to specific posts relevant about the topic within the guest post you write. Don’t overdo it or your host will likely turn down the post, but definitely link to posts on your blog when relevant and helpful to the reader. My favorite reason to guest post is to build relationships with other bloggers. If you offer a well-written, interesting guest post for another blogger, you’re giving them free content that they can’t get anywhere else. It’s a great way to get on someone’s radar. Often, I’ve guest posted for someone and they’ve gone on to become a long-term reader of my blog, even though they had previously never heard of me (or just knew me as one of the bajillon commenters on their site). Relationships with other bloggers in your niche are invaluable. At the end of the day, guest posting is simply about managing your expectations. If you are looking for massive traffic numbers, especially right away, this is not an technique worth your time. 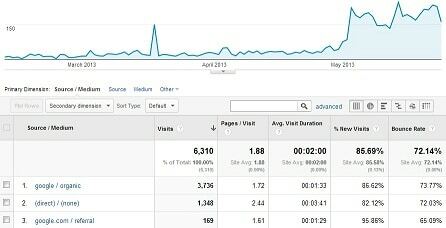 If you’re taking a more “slow and steady wins the race” approach to blogging and interested in benefits other than traffic, guest posting is definitely a great blog-building technique to add to your promotional activities. 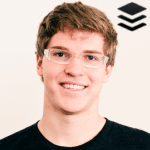 Interested in getting the most out of a guest post – or really any post you write on any blog? Jon Morrow is coming to NMX Las Vegas this January to present a session on the Anatomy of a 100,000 Visitor Post. You don’t want to miss this one! Want more blog traffic? 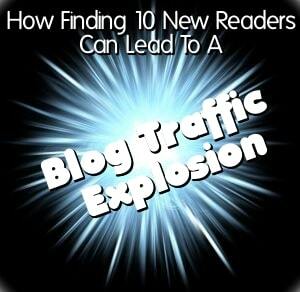 This post teaches you exactly how to leverage just ten readers to explode your blog traffic. Finding new readers is the bane of my blogging existence, and I don’t think I’m alone. Without blog traffic, you might as well write in a private journal, because you certainly won’t make money or spread your ideas online. I’m constantly on the lookout for new traffic-building techniques, and today I wanted to share with you one of my favorite traffic-building techniques when your blog is new (and really, this technique can work for established bloggers as well). Best of all, it only takes ten new readers. You can find ten readers, right? The first step in this process is to find ten new readers. This doesn’t mean convincing people in your current circles to stop by your blog more often. It doesn’t even mean reaching out to friends of friends. These people are already in your extended circle of potential readers. 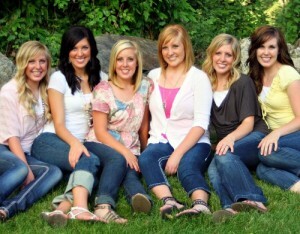 You want to find ten readers who are completely new to your blog. My favorite way to do this is to find new bloggers in my niche and leave comments. Comments are not going to bring you a wave of traffic, but that doesn’t mean they’re worthless. You don’t need millions of new readers. You just need a handful. Another way to find brand new readers is to participate in link parties or blog hops. These are especially popular in niches like parenting, DIY, and food. Again, you are likely not going to get thousands or even hundreds of new readers this way, but for this specific technique, you only need ten or so. Once you find the new readers—and this is important—you have to treat them like VIPs. Go the extra mile to make them feel welcome on your blog. You want to treat these relationships like they are the most important ones you’ll ever have. Don’t be inauthentic during this step. Yes, you want to leverage your relationships for traffic, but if that’s all you care about, you’re doing it wrong. Never use people and then ignore them once you’ve reaped the benefits. I’ve seen people do this and I’ve had it done to me, and it is pretty upsetting. So build real friendships. Traffic is just the benefit. Find and follow them on Twitter and other social networks. Reply to every comment they leave on your blog (you should be doing this anyway). Email them thanking them for their comment. You don’t have to do this every time, but with especially good comments, reaching out via email is a nice gesture. Continue to read and comment on their blogs. Basically, build not just a relationship, but an actual friendship. Some people will be receptive to this, and some won’t. That’s okay. Don’t force it because you want traffic benefits. Just see how friendships form naturally. But the point is you can’t just sit around and wait for it to happen. You have to be proactive in finding new online friends outside of your current circle. Once you start treating your readers like VIPs, your traffic will start to snowball. Why does this happen? Readers will see how you treat your community and they’ll be more encouraged to participate. Treating your newest readers like VIPs increases the chance that they’ll tell their friends about your blog. Even if they opt not to spread the word, the special attention makes them more likely to become fans of your blog rather than just one-time readers. It all starts as a trickle, but if you continue to roll out the red carpet, you’ll see the effects begin to snowball. Like with most things, this takes time and you have to be consistent. Building a community is hard work. But it all starts with ten readers (and actually, if you want to get technical, it all starts with one reader). Even if you’re brand new, you can use the tiny amount of traffic you get today to build momentum. If you want even more traffic tips, check out the content we have coming up at NMX. We also have sessions on community, monetization, content creation, and more, so you don’t want to miss this event!